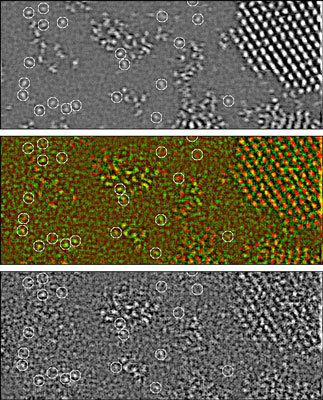 Scientists at Brookhaven National Laboratory have demonstrated a new scanning electron microscope capable of selectively imaging single atoms on the top surface of a specimen while a second, simultaneous imaging signal shows atoms throughout the sample's depth. Researchers at the Institute for Hygiene and Biotechnology (IHB) at the Hohenstein Institute have successfully devised a special, optimised textile coating that allows adult human stem cells to colonize the surface fibres of textile implants. Researchers led by Daniel Kohane, MD, PhD of Children's Hospital Boston, funded by the National Institutes of Health, have devised a solution that combines magnetism with nanotechnology to create an on/off switch for drug release inside the body. Carbon Nanotubes machen Kunststoffe stabiler, haltbarer und elektrisch leitfaehig. Vom 20. bis 23. September steht dieser neue Verbundwerkstoff im Zentrum der vierten International Conference on Carbon Based Nanocomposites an der TU Hamburg-Harburg. Julius Rebek, Jr. and Trevor J. Dale at the Scripps Research Institute in La Jolla, California (USA) have developed a new class of sensors that detect certain neurotoxins up to five orders of magnitude faster than previous reagents. University of Wisconsin-Madison researchers are making incremental but important strides in the fuel cell technology that could make clean cars a reality. For the first time, MIT scientists have observed ferromagnetism in an atomic gas, addressing the decades-old question of whether gases could show properties similar to a magnet made of iron or nickel. Carmen Lilley, assistant professor of mechanical and industrial engineering at the University of Illinois at Chicago, is working on new procedures for making nanowires more electrically stable - and hence more reliable. She was recently awarded a $505,532 National Science Foundation Faculty Early Career Award to help advance her project. 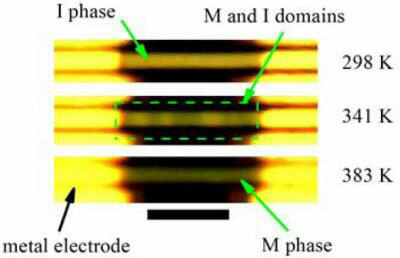 In finally answering an elusive scientific question, researchers with the U.S. Department of Energy's Lawrence Berkeley National Laboratory (Berkeley Lab) have shown that the selective placement of strain can alter the electronic phase and its spatial arrangement in correlated electron materials. An interdisciplinary team of researchers at the University of Delaware has received a two-year $200,000 grant from the National Science Foundation's Nanotechnology Undergraduate Education (NUE) in Engineering Program. Vom 21. bis 24. September 2009 findet in Dresden die 31. Jahrestagung der Fachgruppe Magnetische Resonanzspektroskopie der Gesellschaft Deutscher Chemiker (GDCh) statt. Auto researchers and engineers are examining the use of lighter-weight materials and components in their quest to develop more fuel-efficient vehicles. Researchers at The University of Texas at Austin have received about $2.5 million to identify new materials that will efficiently absorb sunlight and split water (H2O) into clean hydrogen fuel, which could power cars and be used to generate electricity. Scientists from North Carolina State University have learned how to consistently create hollow, solid and amorphous nanoparticles of nickel phosphide, which has potential uses in the development of solar cells and as catalysts for removing sulfur from fuel. Researchers at North Carolina State University have received a three-year, $1.2 million grant from the National Science Foundation's Center for Chemical Innovation (NSF-CCI) to pursue research in the emerging field of molecular spintronics.